The American Council of Engineering Companies of New York (ACEC New York) inducted a new slate of officers and directors at the association's Annual Meeting on June 11th at the Union League Club. All officers' and directors' terms begin on July 1st. Joseph Amato, P.E., LEED AP, senior partner of Cameron Engineering & Associates, LLP, is the new chairman. Outgoing chair Linda Shumaker, P.E., president and managing principal of Shumaker Consulting Engineering & Land Surveying, (SCE), is the national director of ACEC New York, serving as liaison between ACEC New York and the ACEC national organization in Washington, D.C.
Amato is the senior partner of Cameron Engineering & Associates, located in Woodbury. As senior partner, Amato coordinates all activities of the firm. He also functions as the partner-in-charge for the firm's major mechanical/electrical and civil/site design projects. Amato is also the COO of the company's affiliate Bodak-Cameron Engineering, located in Midtown Manhattan. He is responsible for the daily operations of both firms. Amato first became involved with ACEC New York in 1985; he was the chairman of the Long Island region in 2000-2002 and served in all leadership capacities. He is currently on the board of directors for the Long Island region. For ACEC New York, Amato has been on the board of directors for eight of the last ten years, as well as on the executive committee for the last five years. He was chairman of the OGS committee for six years, and he served on the membership committee for four years. 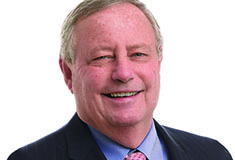 He joined the legislative committee in 2000 and has been its chairman for the last five years. * Treasurer: Mark McAnany, P.E., Bergmann Associates, Inc.
* Secretary: Christopher Bond, P.E., Hunt Engineers, Architects & Land Surveyors, P.C. * Vice Chairmen: Erich Arcement, P.E., Sam Schwartz Engineering, D.P.C. ; Cawsie Jijina, P.E., Severud Associates Consulting Engineers P.C. ; and Thomas McLaughlin, P.E., HDR. * Paul Boyce, P.E., P.W. Grosser Consulting Engineer & Hydrogeologist, P.C. * Eugene Daly, P.E., L.K. McLean Associates, P.C. * Jamie Davis, P.E., Ryan-Biggs Associates, P.C. *Martin Meriwether, P.G., P.W. Grosser Consulting Engineer & Hydrogeologist, P.C. * Mia Nadasky, P.E., Hudson Valley Engineering Associates, P.C. * John Robson, P.E., Foit-Albert Associates, Architecture, Engineering and Surveying, P.C. * Elliot Sander, HAKS Engineers, Architects and Land Surveyors, P.C. * Kamal Shahid, P.E., KS Engineers, P.C. * David Tanenbaum, P.E., Lilker Associates Consulting Engineers, P.C. ACEC New York is a proactive coalition of more than 270 firms representing every discipline of engineering related to the built environment - civil, structural, mechanical, electrical, geotechnical - and affiliated companies. Our shared goals are to further the business interests of our membership, enhance the quality and safety of the environment we live and work in, and help ensure the vitality of our communities. For more information, visit www.acecny.org.